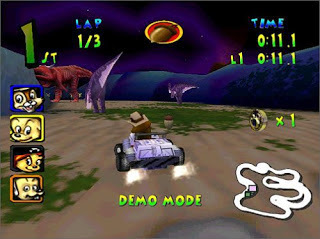 Game Walt Disney World Quest Magical Racing Tour merupakan game racing yang mirip dengan Crash Team Racing (CTR). 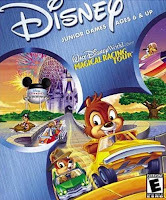 Walt Disney World Quest: Magical Racing Tour is a racing game based on attractions at the Walt Disney World Resort. Players compete in races on tracks inspired by attractions such as the Haunted Mansion, Pirates of the Caribbean, Space Mountain and Big Thunder Mountain Railroad to acquire missing parts for the park's fireworks machine, which was accidentally destroyed by Chip 'n Dale while they were gathering acorns.